TimeOne – Social put its skills in the setting up of Social marketing campaigns at your service. By merging our Lead Generation expertise with Data Driven Marketing and campaign optimization in real-time, we are able to bring performance and success to your campaigns (Leads, Traffic, Engagement, etc.). Increase the group’s customer database while optimizing a conversion in terms of sales on the sites. 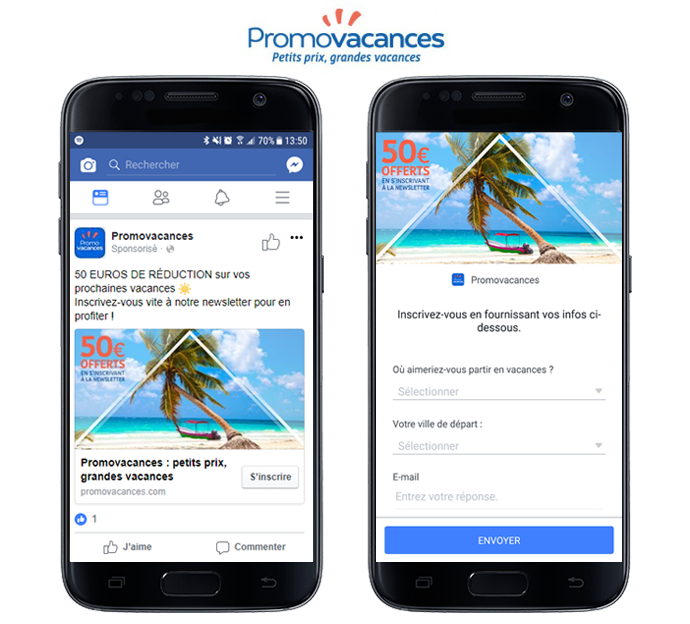 Answer: distribution of native forms to Facebook (lead ads) to a qualified audience to maximize conversions mainly on mobile but also on desktop. Results: 260,000 impressions, 3,500 clicks and 1,500 leads generated on both brands for a conversion rate of 43%, all over a period of one month.